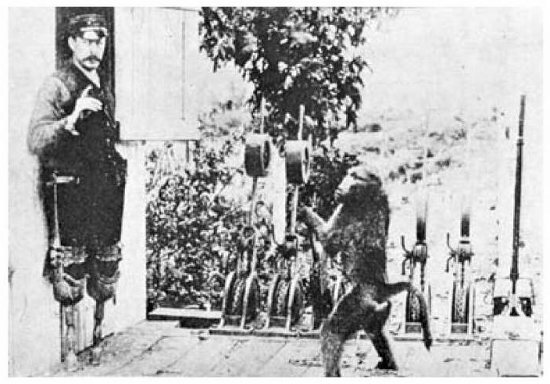 A few years before World War I, Albert Marr discovered a baboon on his farm in Pretoria, South Africa. 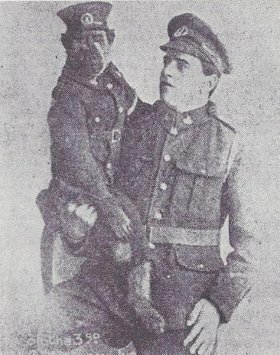 The two became such good friends that Marr took “Jackie” with him when he joined the Third South African Infantry Regiment, and the baboon became company mascot, with rations, a pay book, and his own uniform. In August 1915 the two sailed for the war, where they saw front-line action against the Turks and Germans and participated in an Egyptian campaign. In 1916 Marr was hit in the Battle of Agagia, and the medical team arrived to find Jackie licking the wound. Marr and Jackie were both wounded in April 1918, and Jackie’s leg was amputated, but he made a full recovery and was promoted to corporal and awarded a medal for valor. (In 1973 Marr showed Jackie’s discharge papers to a Johannesburg reporter. He was listed as “bilingual.”) In 1919 Jackie took part in a London victory procession, riding a captured howitzer. Then he retired to Marr’s farm, where he died in 1921. 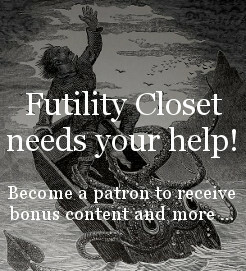 Cheney writes that when an astonished passenger complained, Jumper and Jack were dismissed, but then Jumper convinced the officials to test Jack’s skills rigorously, and he did so well that he was rehired and given daily rations and an employment number. He (Jack) died of tuberculosis in 1890.